This here is our latest episode from our new series “R&B In your Earbuds”. 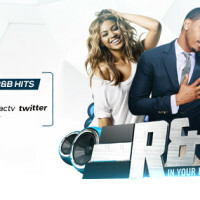 It features current and contemporary R&B tracks and will air bi-weekly exclusively on Afrodisaic TV. You can Listen/Stream an audio version of the mix at the link below. You can Download an .mp3 version of the mix at the link below. For ardent followers of Congolese music the “ndombolo” genre has over the last couple of years been blessed with the slew of outstanding releases both from veteran musicians as well as debuts from upcoming artists. The fast paced “sebene” style of music which for various reasons had been supplanted by the slow melodic rhumba type songs has slowly climbed back into the awareness and these types of songs are dominating the airwaves in Kinshasa. Newcomer Fabregas Le Metis Noir has had an incredible year with his hit song “Mascara” topping the charts for over 6 months. Fally Ipupa has also enjoyed a fulfilling year both on an individual level and as leader of the F.Victeam Band who have enjoyed considerable success including launching their first album and tour performances in Africa, Europe and North America. Not to be outdone are veteran musicians like Koffi Olomide who has just released his new album “13ème Apotre” that features the fast rising song “Selfie”. The ever popular Felix Wazekwa currently has a huge hit on his hands with the single “Fimbu” poised to rock dancefloors through the holiday season. In addition we have Werrason & Ferre Gola who have both put out strong showings indicating that they will be forces to be reckoned with even as the ndombolo scene is transition to new artists. Taken of his album “13eme Apotre” which translates to 13th Apostle, Koffi’s title track “Selfie is poised to be his biggest hit in years. Ferre Gola on full seben mode. More than a year old but still packing dance floors. Song of the year. Period. Shado Chris has the released the visuals to his hit song “C Nous Les Boss” which features Serge Beynaud. DJ TopDonn premiered this track exclusively at #Afrodisiac. See visuals below. Also see a link below where you can download the .mp3 version. A 14 minute recap of Eddy Kenzo performing live during the Afrodisiac Anniversay Concert, held at The Shrine in Chicago on September 7th, 2015. Kenzo thrilled the crowd performing crowd favorites like Sitya Loss, Mariaroza, Be Happy & Mbilo Mbilo. A 15 minute recap of Serge Beynaud performing live during the Afrodisiac Anniversay Concert, held at The Shrine in Chicago on September 7th, 2015. Serge Beynaud thrilled the crowd performing crowd favorites like Talehi, Tchokora, Sape Sape, Kababeleke, Okeninkpin, Loko Loko & more. Serge Beynaud, Eddy Kenzo & Coco Argentee talk about their experience at the Afrodisiac 10th Anniversary Concert. Interviews conducted by Jasmine representing Afrodisiac TV. A 20 Minute Power Mix of some personal favorite R&B tracks from the last couple of years. The Sounds From Africa SXSW showcase lit up The Palm Door in Austin, Texas on Friday March 20th as part of an incredible double-stage show at the 2015 SXSW Music Festival. SXSW has been known to be one of the largest music conferences around the world. The event brings together an impressive agglomeration of Music, Film and interactive industry leaders and participants from around the world. The Sounds From African showcase was a cultural celebration of African music and was presented by Rickie Davies PR, Winnie K Management & Coyah Production. 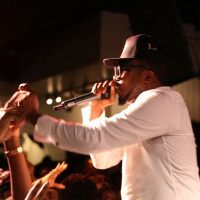 Featured performers included industry heavyweights Davido, Ice Prince, Samini, R2Bees, Sarkodie, Serge Beynaud & Emma Nyra. Among the more memorable moments from the show included Sarkodie & Ice Prince belting out their collaboration “Shots & Shots”. Sarkodie had the crowd in a frenzy when he performed his tune “Adonai”, which is a crossover hit across the entire African continent and features the late Ghanian rapper Castro, who tragically passed away in a boating accident in 2014. Ivorian artist Serge Beynaud took to the stage and put on a spectacular display backed by his dancer and crowd favorite Zota. Serge’s set was a mixture of classic tunes including “Loko Loko” & “Sape & Sape” sprinkled in with new favorites like “Okeninkpin” & “Fouinta Fouinte”. The Ghanaian duo R2Bess duo also impressed with medley of their hits including “It’s Alight” & “Love”. Last to perform but certainly not least was Davido, the self proclaimed “Omo Baba Olowo” (O.B.O). Davido is currently applying the finishing touches to his album and has been teasing some interesting details about the new album on social media with posts linking him with collaborations alongside various US rappers including Meek Mill & Drake. 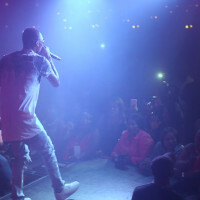 Davido’s set also included new favorites “Owo Ni Koko” & “Sound It” plus tunes from his stable of hits including Gobe, Skelewu, Dami Duro, Tchelete & more. 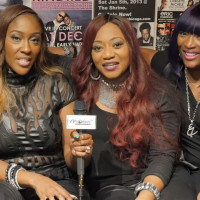 Watch the recap below and stay tuned to Afrodisiac TV for full recaps of each artists performance. This 20 min segment is Part 2 of our March Afro Urban Promo Mix. Included in this mix are current & classic Afro Urban bangers featuring a brand new premiere from Davido along with fresh tunes from Heavy-K (South Africa), Victoria Kimani (Kenya), Yemi Alade (Nigeria) and more.